The Rocky Mountain Vibes are proud to announce a continued partnership with the YMCA of the Pikes Peak Region as the presenting sponsors for the revamped Kids Club for the 2019 season, which will include all of the same benefits Colorado Springs families have come to know and enjoy from the team's Kids Clubs of seasons past, along with a number of exciting new benefits and activities. The Vibes' new Kids Club, renamed the "Mini Mallows", is yet another of a myriad of changes and improvements the Vibes have embraced and put into place this offseason reflecting the organization's rebrand and league change. An exclusive prize for attending all Sunday games! A secret postgame event on August 18th! The Kids Club is designed for children aged 3-12 and will cost just $20 per child for the entire season. 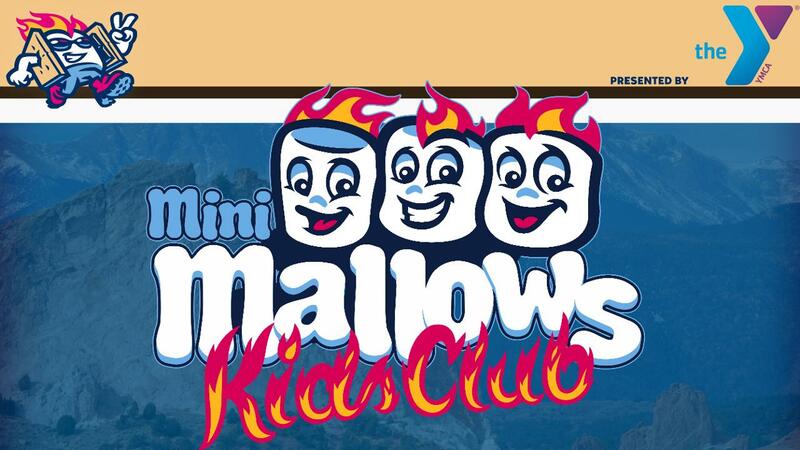 Those with questions or wishing to sign up for the 2019 Mini Mallows may contact Patrick Trainor at ptrainor@vibesbaseball.com or 719-304-5628. The 2019 Vibes season begins June 14 against the Orem Owlz. The home opener is scheduled for June 21 against the Grand Junction Rockies. Get the latest Rocky Mountain Vibes baseball news online at www.vibesbaseball.com, like us on Facebook or follow the team on Twitter or Instagram at @VibesBaseball.